Take a wild guess at what mum had for din din??? 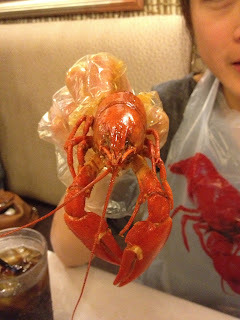 Yup, Crayfish, Crawfish, Mud Bugs, or whatever you call it! 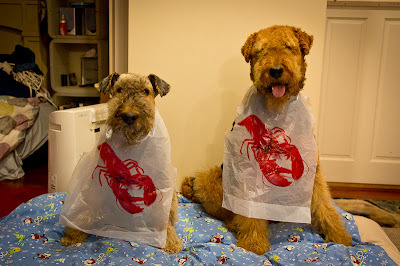 And no, our stoopid bibs did not come with any crawfish!!! How unfAire that you have to wear the bibs but you don't get to enjoy not even a teensyweensy taste of crawfish!